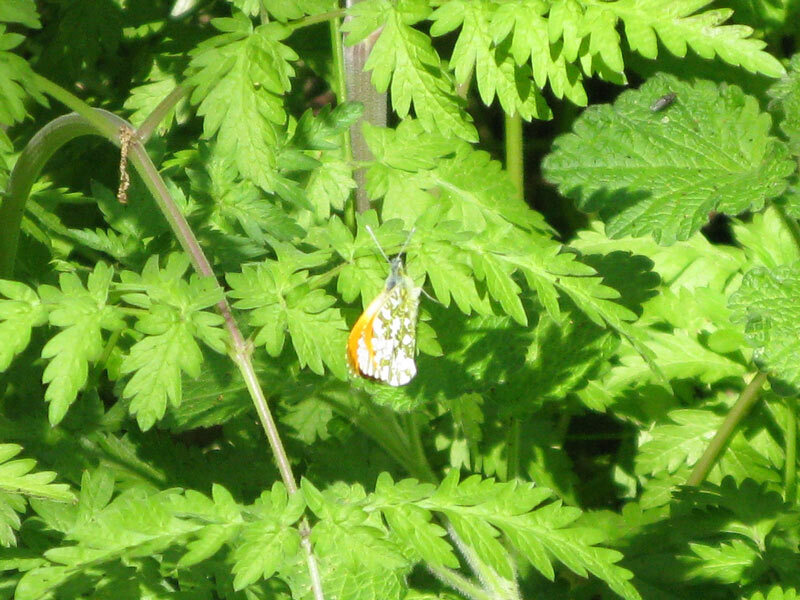 Today there were two butterflies dancing around and sunning themselves on some leaves in a sunny spot in the wood. Turns out that the orange and white one is a male orange tip butterfly also known as The Lady of the Woods. 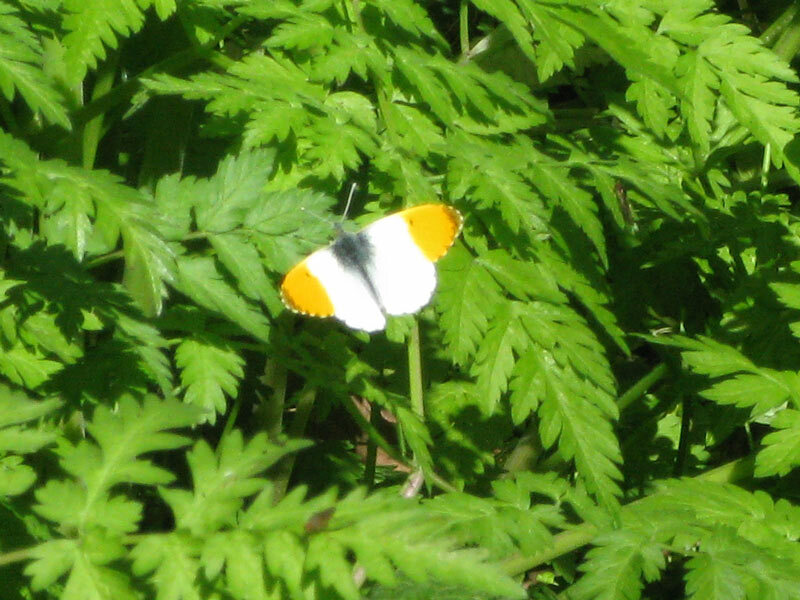 It’s a fairly common butterfly but is normally found in meadows and grassy patches in woodland. 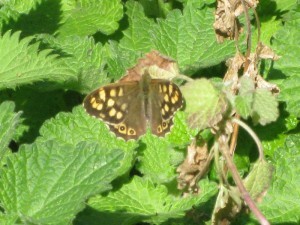 More information can be found on the UK Butterflies website. The brown butterfly was a Speckled Wood. As the name suggests they are normally found in woodland but can also be found in shady hedgerows and gardens. 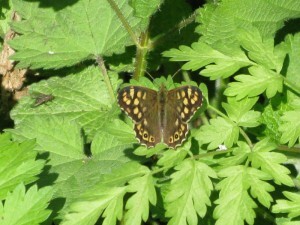 More information can be found on the UK Butterflies website.